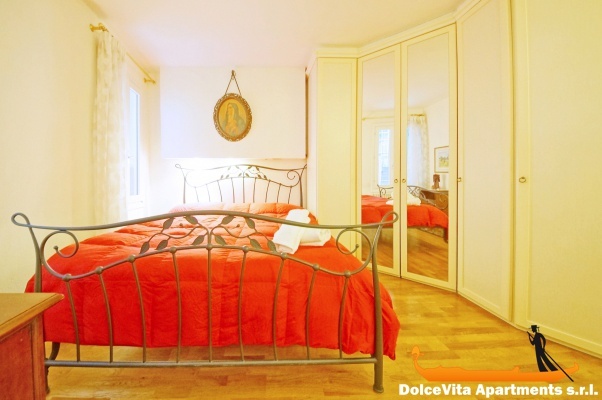 Apartment N. 116: It can accommodate up to 2 people, it is rented from 88 € per Night (not per person). Important: Check-in manager will ask for your credit card details as a guarantee for cancellation policy. 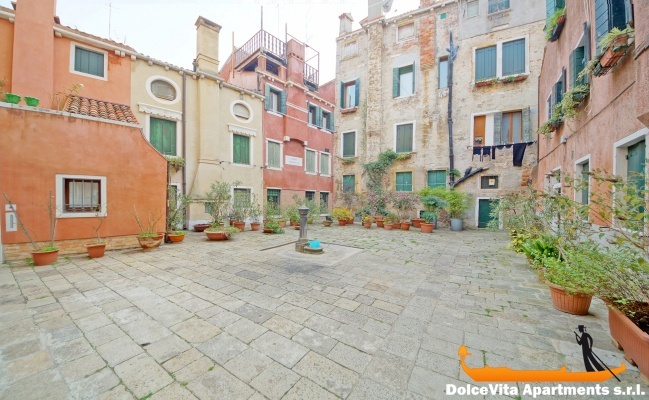 The apartment in Venice is located in a central location on the ground floor and it can accommodate up to two people. 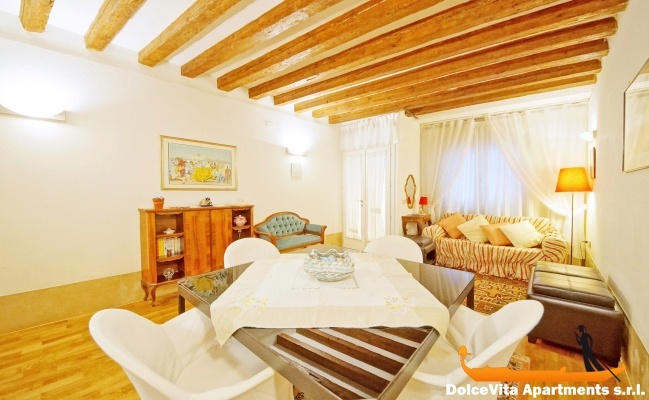 It is located in the heart of Venice, near the Accademia bridge and "Campo Santo Stefano" square; St. Mark square and Rialto Bridge are within walking distance. 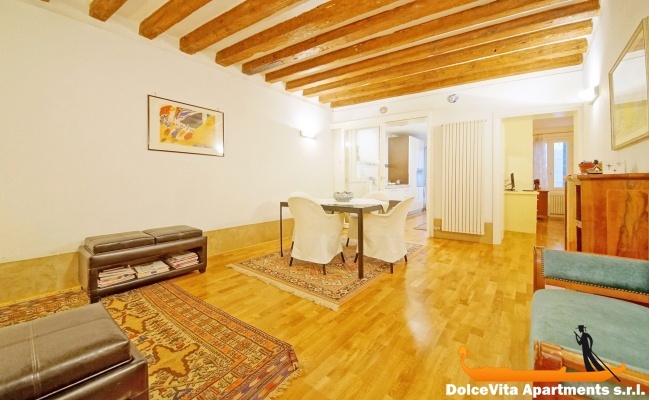 The apartment is newly renovated with luxury finishes, is located on the ground floor, in a quiet and peaceful street. 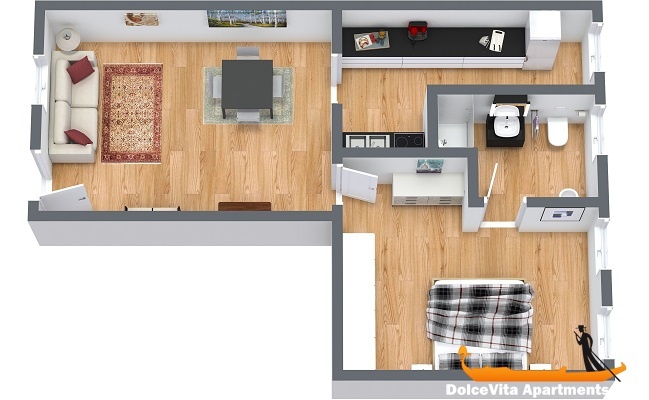 The entrance leads to a spacious and bright living room with sofa bed. 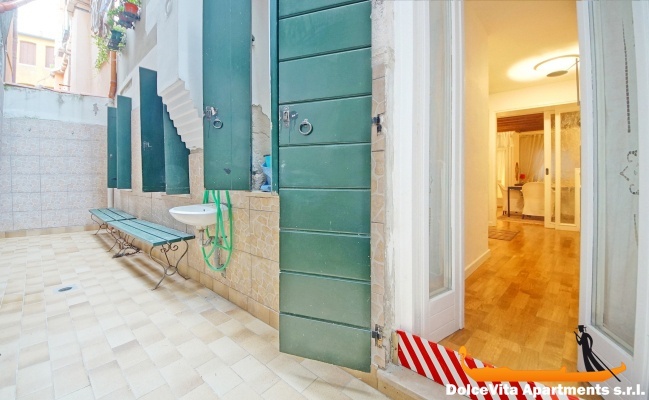 The kitchen is modern and functional and leads to a small private patio. 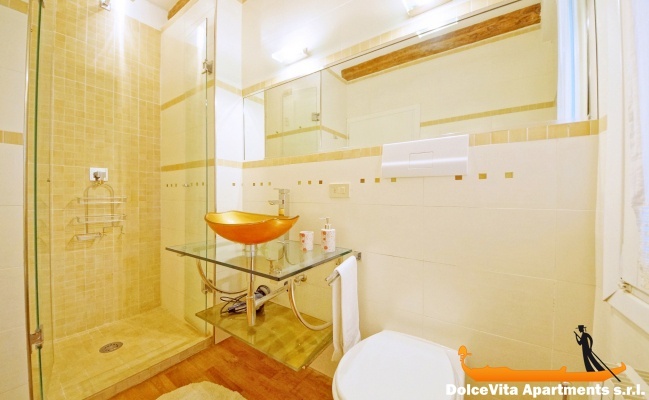 Finally, there is a comfortable double bedroom and a bathroom with shower. 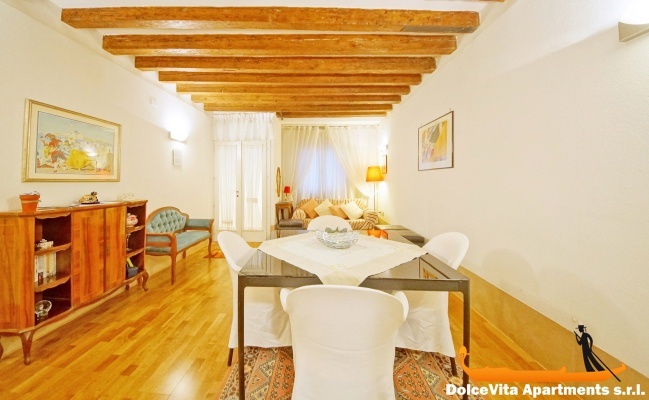 The apartment is very centrally located and hence well situated to see all the sights within walking distance. The vaporetto is only a few metres away so getting to the apartment with luggage from Pzle Roma or the train station is no problem at all. 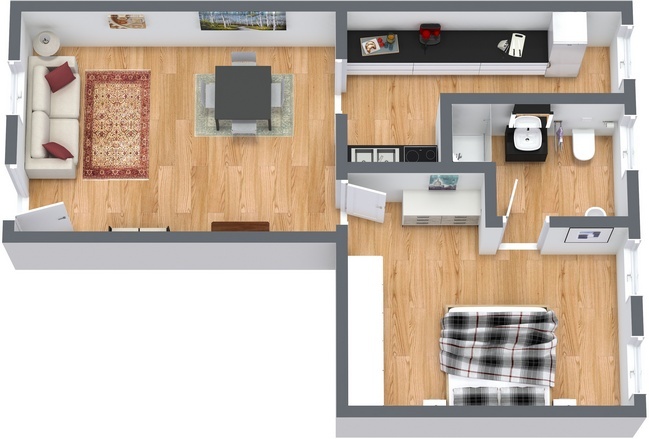 The apartment itself is nice and cosy and has all the amenities - good heating and good wi fi connection.